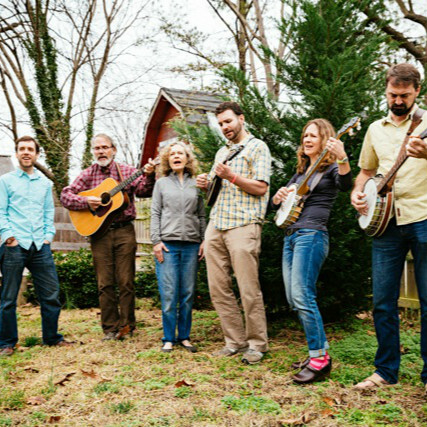 The Robey Family hail from Ferrum and Charlottesville, VA, and bring to the stage a mix of bluegrass, gospel, and traditional music rich in lyric, melody, and harmony. Denny and Fair Robey played music professionally in Washington, D.C. and Los Angeles, CA before moving to Franklin County to raise their family in a rural setting and become educators. Denny served as an administrator in the Franklin County school system for many years, and Fair served as a music teacher. Emily, Gabe, and Austin Robey were raised with the sounds of piano and guitar and learned to sing harmony to the songs of James Taylor, Jackson Browne, and Crosby, Stills, and Nash. As adults, they have all made their way to Charlottesville, VA and have become accomplished musicians in their own right: Emily on banjo and piano, Gabe on guitar and mandolin, and Austin on piano and bass. Emily brings her husband, John Morrison to the mix on banjo and mandolin, and all four are involved in a wide variety of musical ventures aside from their professional lives. Emily and John have established a non-profit music center called The Front Porch which specializes in teaching traditional and roots music. 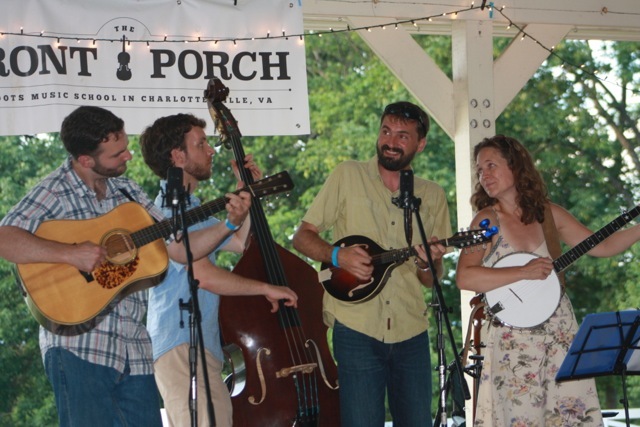 Gabe is a skilled bluegrass musician, performing primarily with the Harwell Grice Band and also with a number of musical groups in Charlottesville. Austin is an accomplished pianist and vocalist and performs as well as teaches music in Charlottesville. The Robey Family will bring to the Harvester a depth of talent. Audiences will appreciate the musical authenticity and dedication to quality this family offers.